Bib players up in team colours. 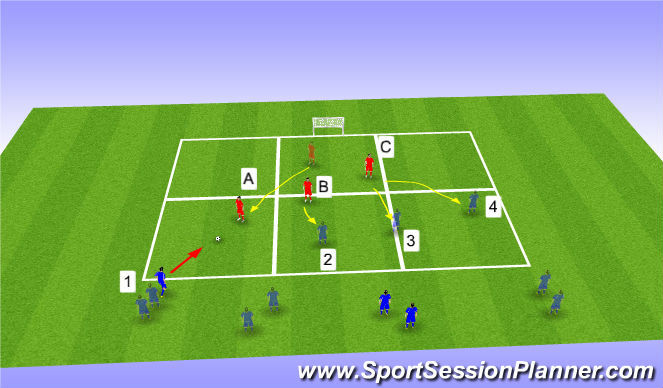 Ask each defender to hold a different coloured cone. What if attackers switch places? C watches his opposite number (3) and is aware of the space between him and the outside man (4). Can he mark the space? Cutting off the pass? If player 1 beats A, B has to go and engage him. C will then need to get in a position to defend 2 and 3 from the cross. 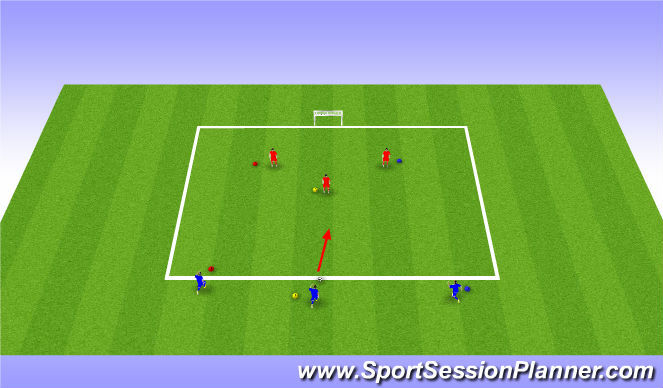 Allow players to play when a goal is scored the scorer has to leave the field of playe behind the goals he has scored in and re-enter the pitch at his goals. 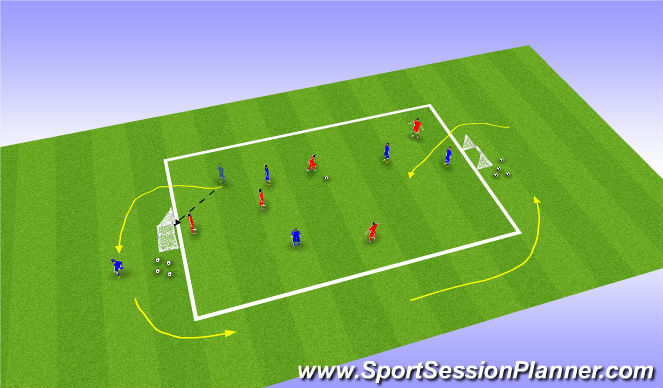 This creates an overload for the attacking team. 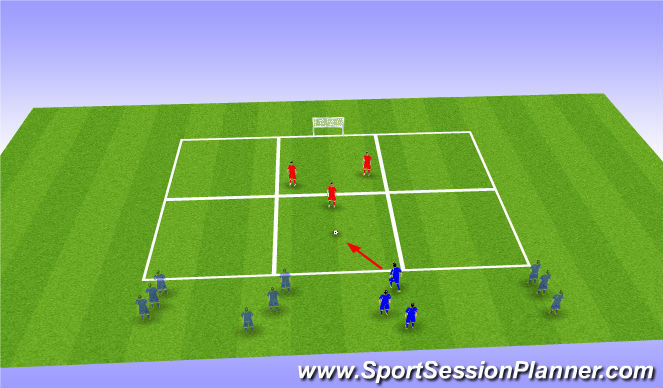 Encourage defending team to hold up play...slow the attack to enable team mate to get back into play.